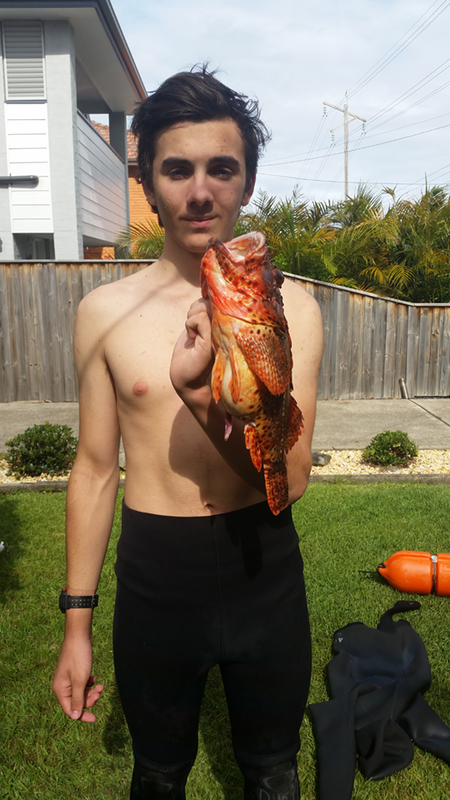 Sea Hawks Junior Christian Murace with a stonker Red Rocky. Speared at the spiritual home of spearfishing, Long Reef, this Red Rock Cod weighed in at 1384gm. Well done Christian to a new National and NSW record. The fish length was 380mm its girth 320mm.